Quentin Tarantino movies are a lot of things. Cute isn't one of them. 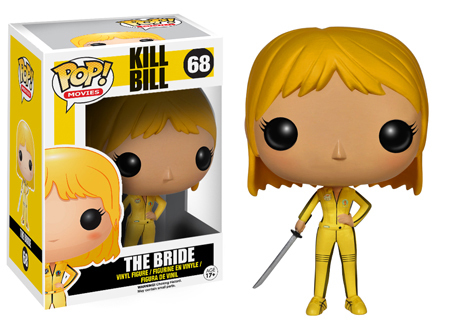 2014 Funko Pop Kill Bill vinyl figures change that. 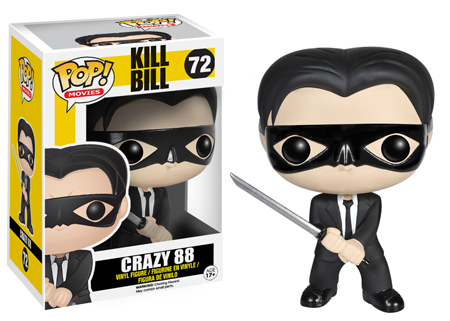 Following in the footsteps of Funko's Pulp Fiction Pop figures, this group showcase the top characters from the film while still leaving room for possible expansion. 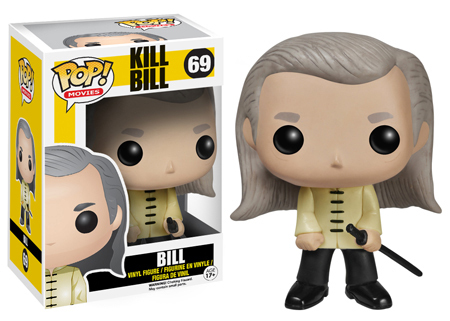 Part of the bigger Pop! Movies line, there are five figures in this group. Leading them is The Bride, the lead character originally portrayed by Uma Thurman. She's in the classic yellow tracksuit first made famous by Bruce Lee. 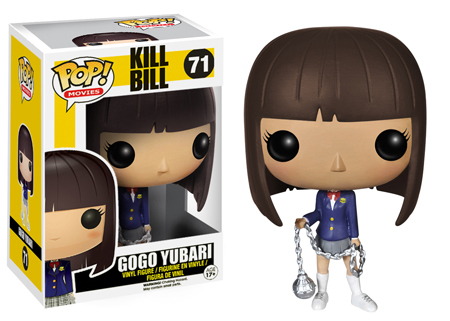 Other figures include Bill, O-Ren Ishii, a Crazy 88 and Gogo Yubari. All five figures are paired with the character's weapon of choice. 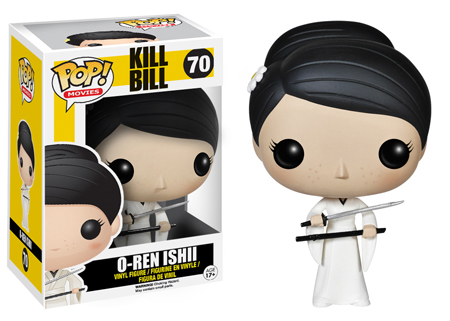 Like all Pop figures, these are heavily stylized. They cartoonish elements with distinct characteristics that, usually, make them instantly recognizable and fun. Figures stand approximately 3 3/4 inches tall.